The chargers failed the safety tests because they were not insulated properly, and therefore couldn’t withstand a high electric current. The insulation is an essential ingredient in preventing electric shocks to end users, and when you’re dealing with mains electricity, a shock could prove fatal. Lack of insulation could also lead the charger to overheat which may in turn cause a fire. Your bargain charger could literally cost you your life or your home. How do I know if I have a fake charger? 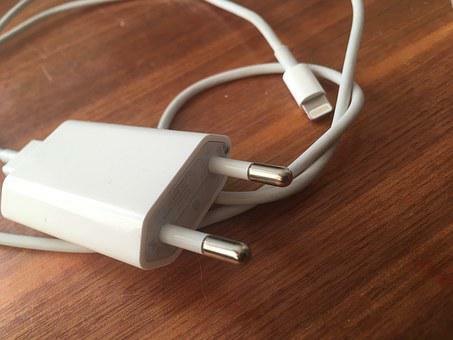 According to Trading Standards, the fake chargers may have wrong-sized pins. Plug the charger into a mains socket, without switching on the power, and see if the pins fit easily into the socket – genuine chargers are easy to plug in and remove. If it’s difficult to plug in, it’s possible the pins are wrong-sized and it’s a fake. They say that the gap between the edges of the pins and the edges of the charger should measure a minimum of 0.3 inches (9.5 mm). Look for errors in any markings or logos, as fakes often have poorly spelled wording or poor quality of printing. You can also check that the CE safety mark is present. If it’s not there, the item is almost certainly a forgery. However, this mark is simple to forge, and finding it present is not conclusive proof that the electrical item is safe, legal and genuine. Instruction leaflets and labels are another guide to the genuineness of the article – again, misspellings and poor printing may indicate a fake. Genuine instructions and warnings include information on how to use the item safely and how to dispose of it at the end of life. Apple are said to be in the process of taking legal action against anyone who is found to be making and selling Apple-branded fakes, as naturally they are very protective of their good name. Genuine Apple products are never cheap, and it may feel as though you’re getting a bargain if you buy an Apple product cheaply online. The problem is, even if you are buying through a highly reputable online site, not all the traders who sell there are above board, or even interested in user safety. It makes sense, therefore, to buy your electrical goods direct from the manufacturer’s own outlet, or through one of their trusted dealers.